One of the most important things when it comes to having a comfortable and eco-friendly home, is to properly set up the HVAC system. The HVAC industry was once very energy inefficient but it has become increasingly green and eco-friendly over the years. As a result, the industry has become more sustainable and environmentally friendly and continues to trend in this direction. During the summer months, the usage of air conditioners actually account for almost 50% of the electricity bill. As you can see, this is quite high and the HVAC industry has always been looking for ways to reduce this percentage. In this article, we will take a closer look at the green trends for 2018 in the HVAC industry that can not only lower your bill but have a more positive impact on the environment. In 2018, there is more automation in the HVAC industry than ever before. There are now programmable thermostats that keep constant track of the temperature and movement so that cooling and heating is more efficient. By automating temperature tracking, the HVAC system is able to be more efficient at its job, which automatically reduces how much energy it uses. There is also greater investment into the automation of installing HVAC systems in both residential and commercial places. The building automation systems (BAS), have microprocessors that keep track of all the environmental changes in each room. These automation systems not only keeps track of and controls temperature but also light and indoor air quality. As a result, this system is not only perfect for the home, but also in commercial labs, isolation rooms, pressurized spaces as well as operation rooms. There have been many studies that show that green buildings actually cost 14% less to run than standard buildings without green technology. As a result, the demand for green buildings has increased and is expected to double every three years. One of the biggest components of creating a green building is installing VRF (variable refrigerant flow) systems. 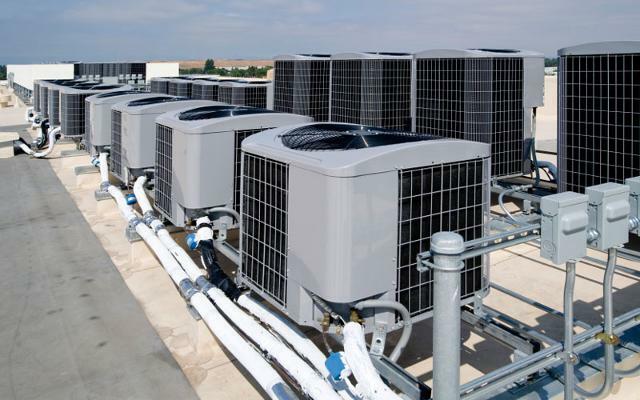 When these systems are installed, they reduce the building’s power consumption, have a lower installation cost, are more flexible in their design and are cheaper to maintain, when compared to the chilled water system that is traditionally used. Another design that recently won an award is one that uses seawater which is pumped into the rooftop of the building so that it sends cooled air into the building. This cool air is distributed throughout the building without the need for mechanical fans and the building’s chillers move the heat into the seawater. This design is significantly more efficient that typical towers that are used since they save a great deal of energy and reduce overall operational costs. One of the largest sources of energy consumption in most homes is the use of hot water. Heating water requires a great amount of electrical energy and it also takes time for the heated water to reach the tap. So, one of the solutions that has been recently created is on command hot water recirculators. There is a particular on command pump that needs to be attached to hot and cold water pipes that are in the kitchen and bathroom areas of the home. The on command pump basically allows you to have hot water, 24/7 anytime you need it. This is possible because the cold water is recirculated back to the water heater via the cold water pipe. Even though this is not a completely perfect solution, the use of these recirculators are significantly more energy efficient as well as convenient. Software is now an integral part of HVAC systems since it is used to do data analysis and keep track of each system’s need for maintenance and repair. There are IoT sensors in each system that keep track of each HVAC unit condition as well as how much it is used etc. This data is then compiled so that trends can be identified and the overall product can be improved. Ductless Mini Split Systems are now being used by people who live in places where there isn’t standard air conditioning systems. These ductless systems are extremely easy to set up since they allow you to get cooling and heating without much construction. These systems save you time, money as well as raw materials and are the perfect green machines that can be used anywhere since they don’t require ducting. You don’t have to sacrifice any comfort and as the technology advances, the prices reduce. There are now many more refrigerant regulations in 2018 that are filed under the Environmental Agency Clean Air Act. For example, only technicians that have EPA certification can sell HFO and HFC refrigerants. The proof of certification must be kept by the employer, as much as 3 years after the employee has left the employer. Next, HVAC technicians must stick to the refrigerant record keeping laws which applies to appliances that hold between 5 and 50 pounds of refrigerant. When a technician is recovering the refrigerant, they must take a record of the location, date, type and amount of refrigerant that is disposed of. In the event that the technician is transferring it for reclamation or destruction, they must also take the same records as well as the name of the person they hand it off to. There are also certain rules that apply when servicing HVAC equipment with HCFC and CFC refrigerants that are also applied to equipment that have HFC and HFO refrigerants. Certification cards that are issued or need to be replaced in 2018, now have new wording. These cards will now include the technician’s name as well as the specific EPA certification that they have. In closing, we have just looked at a few of the green trends for 2018 in the HVAC industry. There is no doubt that this industry will keep on growing and evolving and will only become more energy efficient and eco-friendly with time.